We are now offering Air-Con Regassing from £47+VAT, click here to find out more. 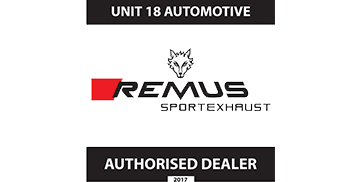 Unit18 provides the exact same, high quality dealership service for any SEAT vehicle without the heavy main dealership prices. We provide a cost effective, reliable SEAT service in Milton Keynes matching the manufacturers warranty requirements. Many dealerships charge exceptional prices to have your SEAT fully serviced. However, you do not necessarily have to have it completed by a dealership garage to comply with your warranty. You can have a SEAT service in Milton Keynes completed by a local independent SEAT specialist that will complete all of the same checks and maintenance procedures, but at a fraction of the cost. We have been a local independent SEAT garage in Milton Keynes for many years now and can offer you a discounted full service for your vehicle – meeting the manufacturers requirements, and only ever using SEAT approved parts and suppliers. We offer recommended SEAT MOTs in Milton Keynes that are in compliance with the main dealerships check-sheets. Our technicians have been specialists for SEAT models for many years, ensuring that every model we assess meets the manufacturers high standards. Should your SEAT need any repairs, we will only ever use SEAT approved suppliers and parts. "Purchased a new Ibiza a little over 6-months ago and immediately brought a service plan without considering the local options. I needed my car looking at urgently as the local Seat dealer had no availability – everything was fixed that day at a fraction of the estimated costs." We are rated 4.9 out of 5 online!